Legit Reviews received a small tour of NVIDIA's new headquarters. 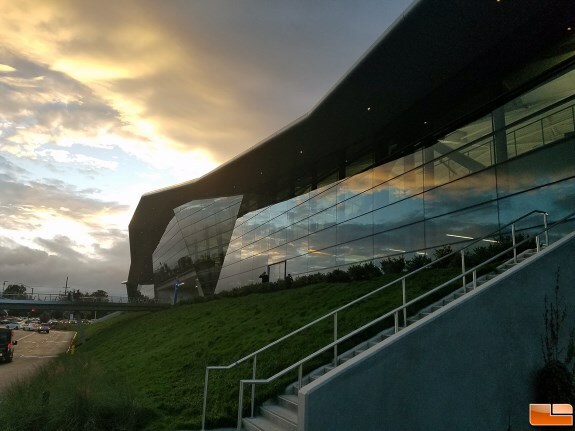 This stunning building had a construction cost of $370 million and is located at San Tomas Expressway and Walsh Avenue in Santa Clara, California. NVIDIA went with a triangle theme to show respect to the the basic element of computer graphics: the polygon. The outside of the building looks impressive as you can see the inner steel frame that is wrapped by more than a thousand 4 x 12 foot sheets of tinted double-paned tempered glass. NVIDIA co-founder and CEO Jen-Hsun Huang played a major role in the design of the building and we think it does a great job showcasing that NVIDIA is a leader in visual computing. You can check out more photos as well as some pics of the new Star Wars Titan Xp Collector's Edition cards at Legit Reviews.